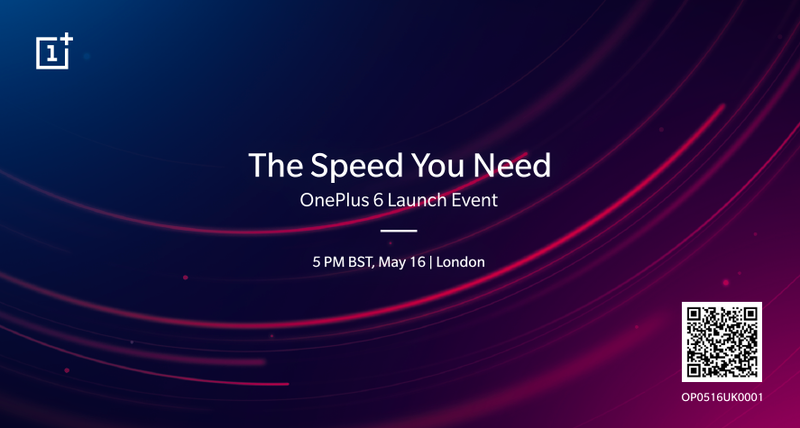 OnePlus is holding an event at 17:00 GMT on May 16th in London, and it's been given the tagline "The Speed You Need." Most recent Android flagship launches have focussed on imaging, so it's interesting to see OnePlus take a different approach by talking up the speed of its latest device. Or maybe that means the cameras aren't very good. We'll have to wait and see. If you're in London on May 16th you can buy a ticket to the event. Currently on sale at an early-bird price of £16 until April 27th when they will go up to £30. You'll also be able to buy two tickets for £20 if you have a friend who wants to join you. Apart from being among the first in the world to get hands-on time with the OnePlus 6, attendees will also get a swag bag that "far exceeds the price of the ticket." For those who aren't able to make it, the event will also be live-streamed.